Over the years there have been purported advantages for using a T/C but most of these are of little relevance for industrial process applications. 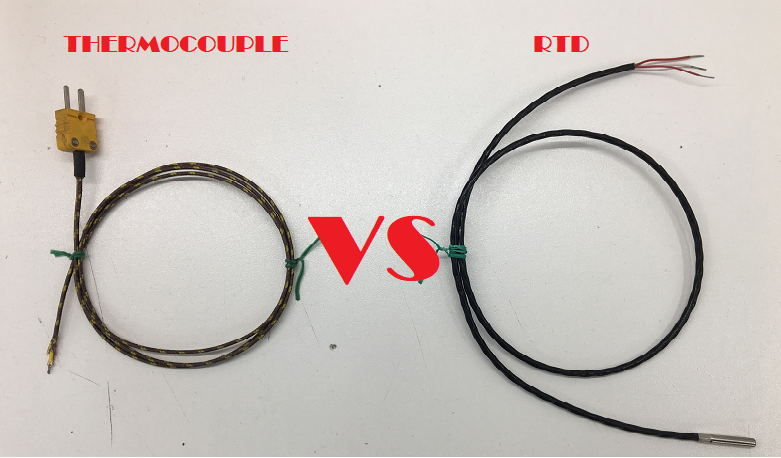 Although some T/Cs made with heavy gauge wire are quite rugged with a high tolerance for vibration, in general, an RTD properly selected and installed in a properly designed thermowell is suitable for challenging high velocity steam or liquid applications and even applications in the nuclear industry. T/Cs are said to be less expensive but when the cost of extension wire, more frequent calibration and replacement, and lower accuracy impacts on the process are considered this advantage disappears. In fact, in many cases, the cost of ownership of a T/C installation easily exceeds that of an RTD installation. The most viable reason for using a T/C is if the measured temperature range exceeds what is practical for an RTD. The RTD potential upper limit is about 850 °C (1,500 °F). For applications where only trends are monitored and errors of several degrees can be tolerated, multipoint or single T/C assemblies may have a cost advantage when wired to a multichannel transmitter or a multiplexer. For process control applications and especially for SIS applications, a properly designed and installed RTD system is clearly the better choice for temperatures below 500 °C (900 °F). At higher temperatures up to 850 °C there can be increased drift that may nullify some of the accuracy advantage. Rosemount Inc. 2013 The Engineer’s Guide to Industrial Temperature Measurement Literature reference number: 00805-0100-1036 January 2013 page 69.